CrestClean Kerikeri offers consistent and reliable commercial cleaning services that always leave your premises clean, fresh, and hygienic. Whangarei Regional Manager Jim McManus is passionate about CrestClean and always strives to ensure customers receive a top service. Jim McManus was born in Northern Ireland. His family moved to Zambia in central Africa and later to New Zealand when Jim was 9 years old. Prior to joining Crest he worked for nearly 20 years in logistics. 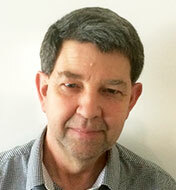 Jim joined CrestClean as a franchisee four years ago. CrestClean ticked all the boxes for Jim who was looking for a business that was largely recession proof and allowed flexibility for family time. “Crest was it and I haven’t looked back – next to marrying my wife, it was the best move I have ever made! “The region was developed by Neil and Rachel Kumar under the North Harbour banner and the success of their endeavours lead to the creation of the Whangarei Region as it became too big a territory for them to manage on their own. Before taking on the region from Neil, Jim was part of the North Harbour Regional Training Team. “The thing I enjoy most about working with customers is the satisfaction of being able to provide them with a solution to their problems.